I love asparagus and this asparagus side dish is one of the best. As long as you don’t boil it for too long, it always looks pretty and tastes great both steamed and grilled. I’ve also discovered that it’s not easy to grow in a home garden (at least, it hasn’t been for me), which makes me appreciate it even more. My family loves asparagus except my older daughter, who doesn’t like it at all. So if you’re planning to serve asparagus at a meal, I recommend you have a second vegetable side dish for those who share her taste. Whether you make this dish with regular-sized asparagus or the very thin variety is a matter of aesthetics; either one will taste great with the other ingredients. I think the thinner asparagus gives it a slightly more refined-looking quality, which you may prefer for a fancier meal. What I love about this dressing is that it has hints of honey and mustard without being a “honey mustard” dressing per se. The balsamic vinegar overpowers them just enough to prevent them from taking over. Really I could eat this several times a week and I wouldn’t get tired of it! Using a whisk, mix all of the dressing ingredients in a small bowl and set aside. Boil about 2 inches of water in a large pot. Trim off tough ends of the asparagus. When the water boils, add the asparagus and cook until it is just tender when you stick a fork in it, about 4-5 minutes. 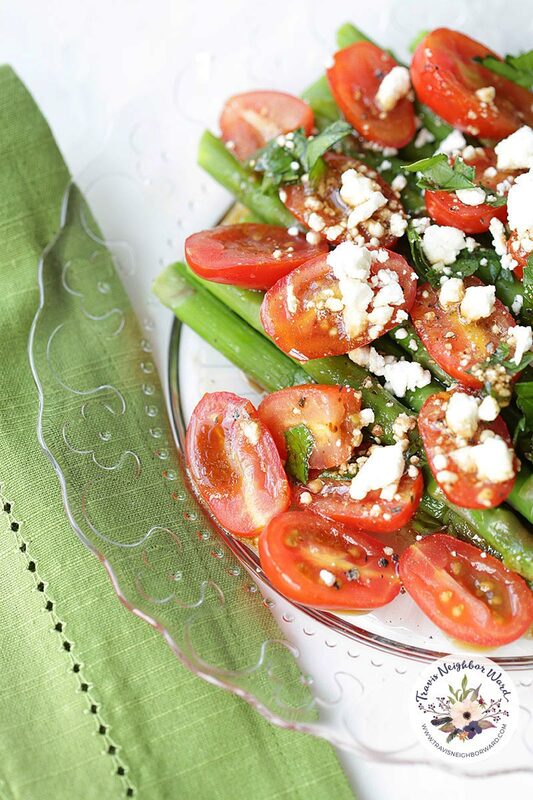 Arrange asparagus on a plate with tomatoes and feta cheese on top. Drizzle dressing over it, then sprinkle parsley, salt, and pepper. 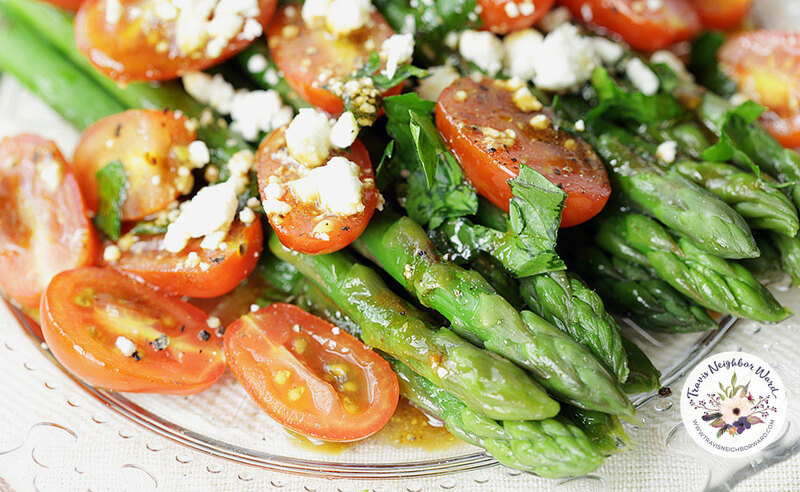 What is your favorite asparagus side dish? Please leave a link below.